Let’s talk about Cambodia. Let’s talk to a Cambodian man born in Australia as a result of war. Let’s talk about what one asylum seeking family has given back to both countries. Sometimes curiosity can take you on an expected journey. Sometimes a mixture of fortune and fate (if such things truly exist) throw opportunities at your feet, though you may not know it at the time. A journey of self discovery. An offer of help to a group of strangers. An appreciation of one’s own good fortune alongside the humility to be the ladder for others when needed. Sethy Ung is the first Cambodian to have been born in Australia. And he counts himself lucky as a result. We met and worked together as emergency medicine trainee registrars in Liverpool Hospital in the south west suburbs of Sydney. While the rest of us took annual leave to go surfing or head off to exotic locations, Sethy quietly flew over to Cambodia to help a paediatric critical care facility with their staffing and training. Over time a few of the ED staff followed him over for a week or two. But what happens when you leave? What benefit then has your presence been outside of the duration of you physically being there? How much can one person really achieve when there is so much to be fixed? Quietly, Sethy found a way. 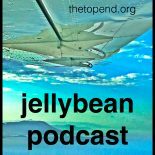 This entry was posted on March 18, 2018 by Dr Doug Lynch @TheTopEnd in Pure Jellybeans and tagged #FOAMed, Asylum, Cambodia, Emergency, FOAMped, ICN, ICU, Khmer, LITFL, Matt McPartlin, Refugee, RollCageMedic, Sethy Ung, Sydney, TheTopEnd, War.